Pierce College April Flyer up and Entry ready! Lessons available tomorrow afternoon and evening. Ranch sorting or cattle work. Text me at 9514734146 if you’re interested. 460 runs for the day! 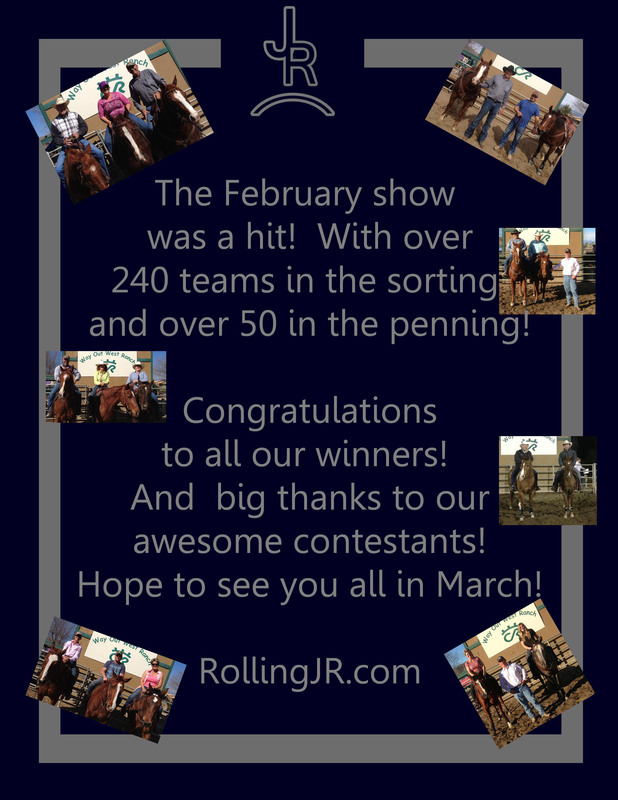 Jackpot ranch sorting tomorrow! Don’t forget the 3s start at 10 in the second pen! Looking for an inexpensive way to season your show horse? School those pesky veterans? Or get your non pros in the pen? Come to our Spring Schooling Series! We have fresh cattle, good ground, and buckles to winners! Entries close the Monday before each event.